EASTON — John Dillon, chairman of the University of Maryland Shore Regional Health Board of Directors, has announced his resignation from the board, effective immediately. Dillon, whose tenure on the board was set to end on June 30, 2019, notified the board of his resignation April 9, citing his belief that leaving the board at this time is in the best interest of University of Maryland Shore Regional Health to minimize the distraction caused by current discussions regarding University of Maryland Medical System board relationships. 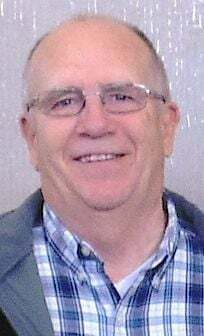 Loeffler, a Cambridge resident, will serve as acting board chairman until July 1, 2019, when new officers are confirmed. Dillon had resigned several weeks ago from the board of the University of Maryland Medical System following reports in The (Baltimore) Sun about UMMS board members who also had business relationships with the medical system. Dillon was paid more than $450,000 for consulting work for UMMS between July 1, 2015, and June 30, 2018, according to disclosure reports on file with a state commission. Dillon reported in June 2016 that his firm Dillon Consulting, which he listed as a health care consulting firm, was paid $13,000 monthly for capital campaign and strategic planning consulting for UMMS for calendar year July 1, 2015, to June 30, 2016. Dillon’s consulting firm was paid the same amount for July 1, 2016, to June 30, 2017, and for July 1, 2017, to June 30, 2018. Dillon’s disclosure reports indicate his consulting work was performed for UMMS, not Shore Regional Health. Representatives from Shore Regional Health did not answer questions seeking additional details on the nature of Dillon’s consulting work and how the contract was approved. Another Shore Regional Health board member was paid for work his firm performed for the regional health system. Wayne L. Gardner Sr., then president of Best Care Ambulance Inc., disclosed the firm was paid more than $50,000 in 2016 and more than $100,000 in both 2017 and 2018. The firm provided ambulance and wheelchair transportation for Shore Health System at Easton, Dorchester and Chestertown; Shore Nursing/Rehab; and the Express Care Program — Shore Team, according to Gardner’s disclosure reports. Gardner of Trappe, along with co-owners Shirley Kay Gardner, his wife, and Frank Russum, sold Best Care to Butler Medial Transport of Towson on March 11. Although Gardner’s wife was listed as a co-owner of Best Care in a press release and a post on the firm’s website page concerning the sale to Butler, Gardner did not list Shirley Gardner on his disclosure of financial relationship questionnaire forms for the past three years. The form asks board members “... to indicate whether you and/or an immediate family member have a financial and/or management relationship with” UMMS or any industry company. Gardner was a member and then chairman of the Chester River Health System’s board when the board approved a merger with UMMS. 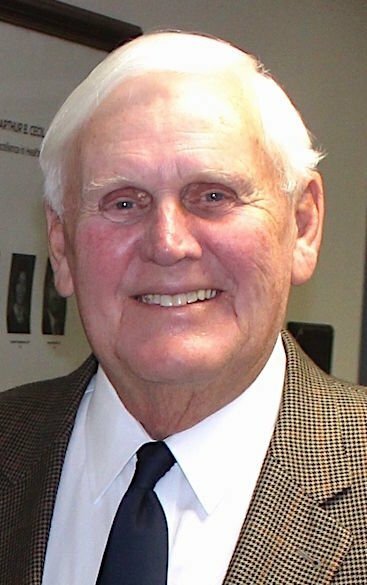 Charles “Chip” MacLeod was the Chester River board’s chairman during much of the merger process, with the merger officially occurring in summer 2008. The boards of Shore Health and Chester River merged in 2013. Shore Regional Health declined to provide any additional information, including how long Dillon and Gardner had served on the Shore Regional Health board or any prior boards, such as Chester River. It is not clear whether the firm chosen by UMMS to conduct the review will only be looking at the UMMS board or if it also will review Shore Regional Health’s board. Dillon was one of three UMMS board members to resign in mid-March after reports about several members earning money from the medical system. CEO Robert Chrencik was placed on leave. Baltimore Mayor Catherine Pugh, a former state lawmaker, was paid $500,000 by UMMS for her self-published “Healthy Holly” books. The purchases began when Pugh was still serving in the Maryland Senate. The Baltimore city council and various officials have called on Pugh to resign as mayor. Robert Pevenstein, president of Princeville Partners, also resigned last month from the UMMS board. Pevenstein reported earning commissions from UMMS for two firms that had contracts with the medical system and that his son, who worked for AFLAC, earned commissions paid by UMMS employees who voluntarily enrolled in the supplemental insurance program. For calendar year 2016-2017, Pevenstein reported commissions totaling more than $100,000, with most of that received by The Optime Group, which had a workforce development contract with UMMS. While several members resigned from the UMMS board, other board members went on leave, including August Chiasera, regional president for M&T Bank; former state Sen. Francis X. Kelly, owner of an insurance firm; James A. Soltesz, CEO of an engineering firm; and Walter A. Tilley Jr., CEO of a pest control company. Chiasera reported that M&T Bank is one of the primary bankers to UMMS. M&T collected net interest income and fees of about $3 million for the year ending June 30, 2017, and about $4.425 million for the year ending June 30, 2018. Kelly’s insurance firm collected $2.8 million last year and more than $1.6 million in 2017, according to reports. His sons, who are involved in the family insurance business and served on the boards of University of Maryland system hospitals, have taken leave from those boards. Soltesz Inc., which provided civil engineering services for the new Prince George’s Hospital, earned more than $100,000 in the year ending June 30, 2018, Soltesz reported. Home Paramount Pest Control Company, owned by Tilley, earned about $160,000 for pest control services to UMMS in the year ending June 30, 2018.